There are many campus resources available to student clubs and organizations. Please review these departments and groups that have help your group be more successful! The Copy Center provides photocopying service for IU South Bend faculty, staff, and students. The center is open from 8:00 a.m. to 5:00 p.m. Monday through Friday and is located in the basement of Northside 0028 (near the loading dock). The Bursar Services Office oversees the administration of tuition and fees, bill payment including payment plans, and sponsor billings. They also manage the Student Organization accounts. You can call them during their hours of Monday - Friday from 8 a.m. to 5 p.m. (Eastern Time). Flyers go to the Gateway Information Center in the Administration Building to get stamped for distribution. You must take them all the flyers you wish to post on campus, and if they meet our campus criteria you can stamp them and begin posting around campus. Posting and removal of flyers is the responsibility of the person(s) responsible for the flyer. The Campus Posting Policy is managed by the Gateway. Student organizations can post to the Daily Titan. It's a great advertising avenue for campus events and programs! Your message will appear as written (spelling and grammar check recommended). Your message will not be posted if you do not include contact information. It will not be assumed that you want your email address posted on the board. Please send a complete message and it will be posted within 48 hours. Here are some resources to help guide your club through the many ins and outs of the University. Each semester you and your club members will want to review the Speical Events Manual, Bursar Policies, and IU Code of Conduct. Here is a copy of the PowerPoint Presentation give at the Club Officer Training. If you are a registered student organization you can request an IUSB email address. To do so, your advisor needs to go to the IUSB IT group accounts page. 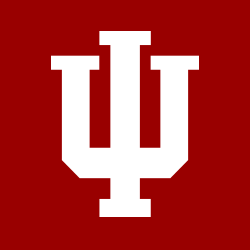 From this page, your advisor will click on the link to Manage my IU Computing Accounts. This will require your advisor to login in with his or her username and passphrase. After logging in, your advisor should go to Create Group Accounts and select Click to request username. Your advisor will then select a username and enter it to see if the name has already been used. The name of the group username should be descriptive of your group. Once the inforamtion requested is entered, your advisor should wait approximately 24 hours for approval. Logging back into the Create Group Accounts page, the advisor can then create the account. It is reccomended that group chose to create a microsoft exchange e-mail account. After the type of account is setup, then the advisor will create a passphrase for the account and be able to give that to you. You are then setup with your new email address. To request a University Web address, please go to the Request A Club Site link and fill and submit the form.